Very recently, we spent a day in St. Helena, California located in the heart of the Napa Valley Wine Region. While walking the streets of this charming town, we happened on the Thorn Hill Vineyards Tasting Room. Tasting a bit of their wine was in order. One of the wines in the flight we tasted was their Sonoma Pinot Noir. Thorn Hill Vineyards is a newcomer to the wine culture in Napa and has accomplished much in a short time. Thorn Hill Vineyards is a family-owned and operated boutique winery in Napa that produces hand crafted artisan wines. Thorn Hill Vineyards was established in the Pennsylvania Lake County in the Red Hills Wine Region where they still exist and maintain a large vineyard and two tasting rooms. The owners and winemakers are committed to producing wines that reflect the distinctive terroir of each area where the wine grapes are grown. This is in an effort to embody the characteristics of each of the grape varietals. Keeping this mind, while in search of the best grapes for their artisan wines, this led them to source grapes from the Sonoma and Napa Wine Regions. Their efforts resulted in the opening of wine production facilities in Napa and Healdsburg, California. 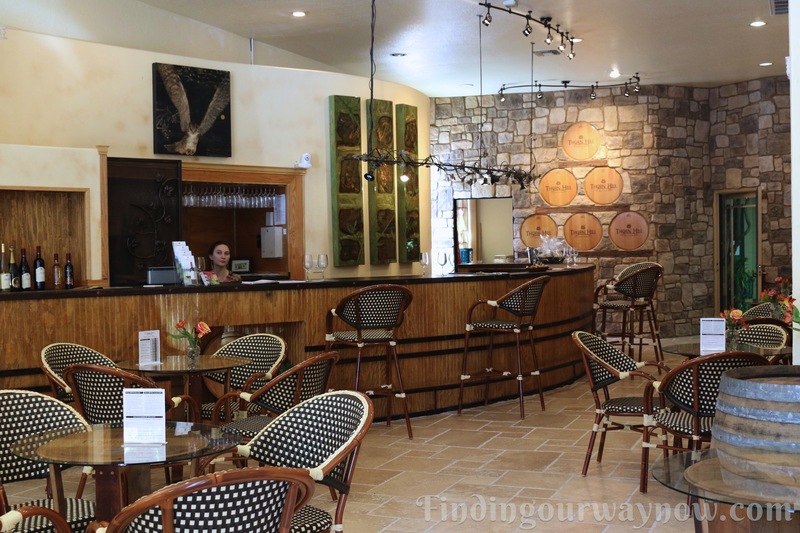 A newcomer to the Napa Wine Region, the Thorn Hill Vineyard’s tasting room in St. Helena only features wines produced from wine grapes grown in the Napa and Sonoma Wine Regions. They are faithful to their calling as a quality boutique winery, producing only “small lots” of artisanal wines that include reds, whites and late harvest sparkling wines. Of note, in 2014, the Thorn Hill Vineyards Brut de Prestige Sparkling Wine along with their Merlot were awarded gold medals, receiving best in class distinctions at the 2014 California State Fair Commercial Wine Competition. Bravo. “No collection is complete without the rare wines of Thorn Hill Vineyards: a family affair focused on excellence. Meats & Fish – Roasted chicken, tuna, filet mignon, pork, lamb and mild sausages. Fruits & Vegetables – Roasted tomatoes, mushrooms, figs, cherries, strawberries, dried fruit. Because they are a “small lots” wine producer, you can only purchase their wines on their website. 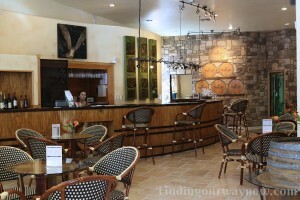 It was a lovely tasting room and a delightful wine find, adding much to our day in St. Helena. This tasting room is a place I plan on returning to the next time we’re in the area. If you enjoyed “Thorn Hill Vineyards Sonoma Pinot Noir,” check out Cloudline Cellars Pinot Noir, Mirassou Pinot Noir, and La Follette Pinot Noir North Coast.